The Department of Justice published the Americans with Disabilities Act (ADA) Standards for Accessible Design in September 2010. These standards state that all electronic and information technology must be made accessible to people with disabilities. Under ADA title III, the standards apply to commercial and public entities that have “places of public accommodation”. With the amount of communications and commerce existing online today, this includes websites. What do I have to do to make my website compliant? 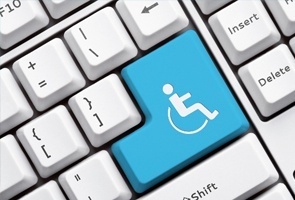 To review how accessible your website is, you can use the accessibility checklist published by the U.S. Department of Health and Human Services (1194.22 Web-based intranet and internet information and applications). The items in the checklist need to be met by your design and web development teams. If you are a state or local government, you should also review the ADA Best Practices Tool Kit for State and Local Governments. There has been a 63% increase in the number of ADA Title 3 lawsuits since 2014. Violators can be charged up to $75,000 for a first violation, and $155,500 for violations thereafter. How can I prove my compliance? Investing in website archiving software that captures your pages as if live can save you significantly if a need to investigate your business arises. If you have taken measures to make your website more accessible, you can easily prove the changes you made to improve your website, and when they were made. Try PageFreezer and see how it works.